This post is sponsored by World Market. As always, all opinions are my own. 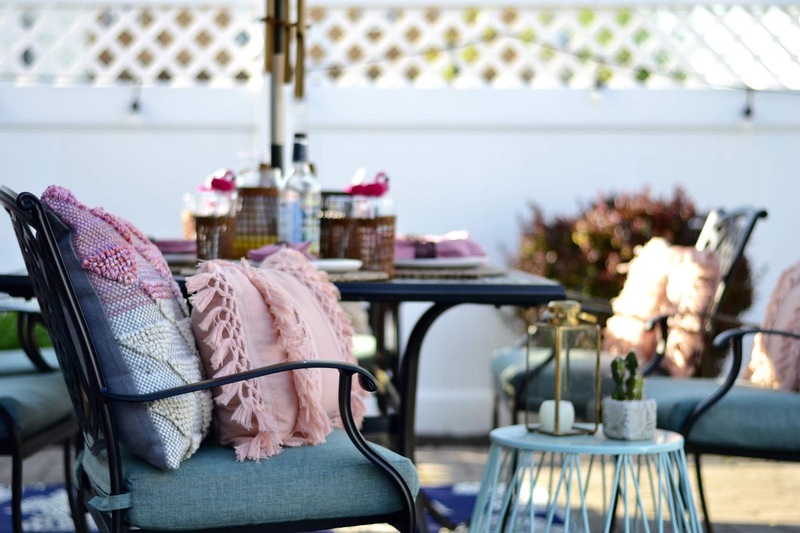 Home décor is definitely one of my favorite hobbies and by the time summer comes around I am deep into revamping, redecorating and reorganizing every room in this house. 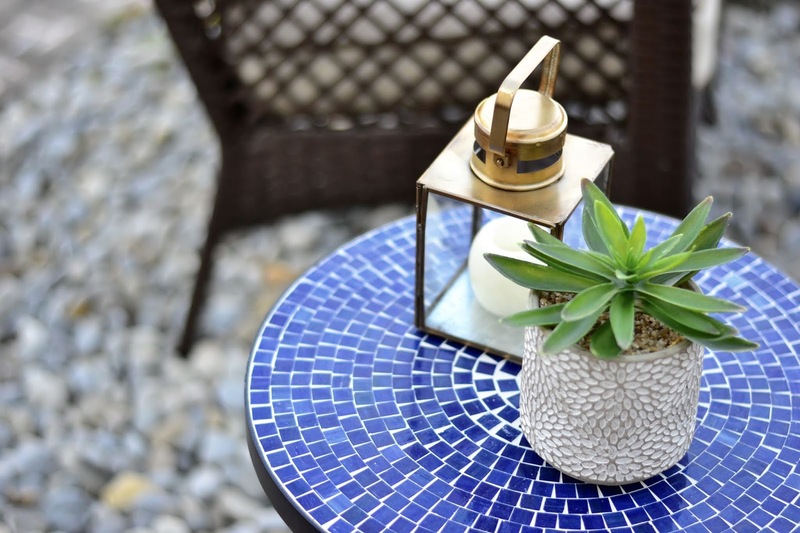 Naturally that includes our outdoor space and this season I've partnered with World Market to share how I revamped my patio by adding the perfect key pieces and turned our patio into a cozy tropical space for fun evenings with my family. 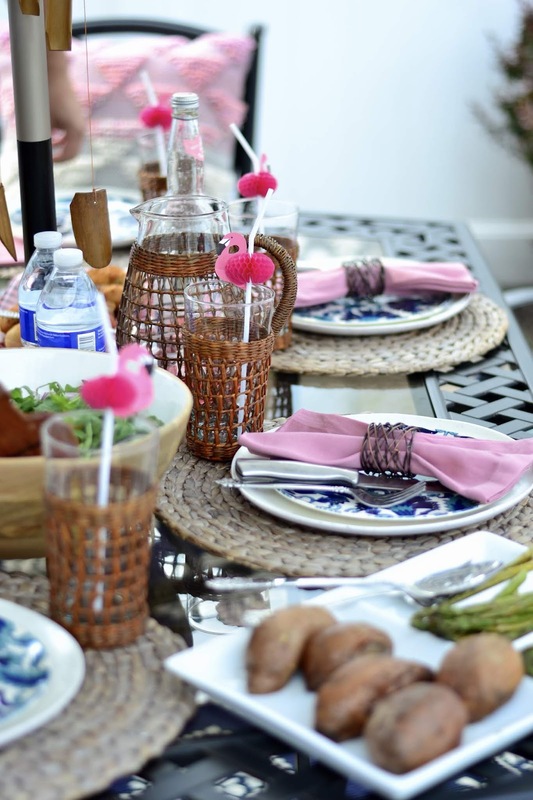 This season a lot of the outdoor items I love are super versatile and can actually be used throughout the house both indoor and outdoor which is a big plus because who doesn't love multi purpose pieces? No matter what space I am decorating comfort for me is key. Having a family with small children I need the space to feel cozy even when it's outdoors and in the summer. 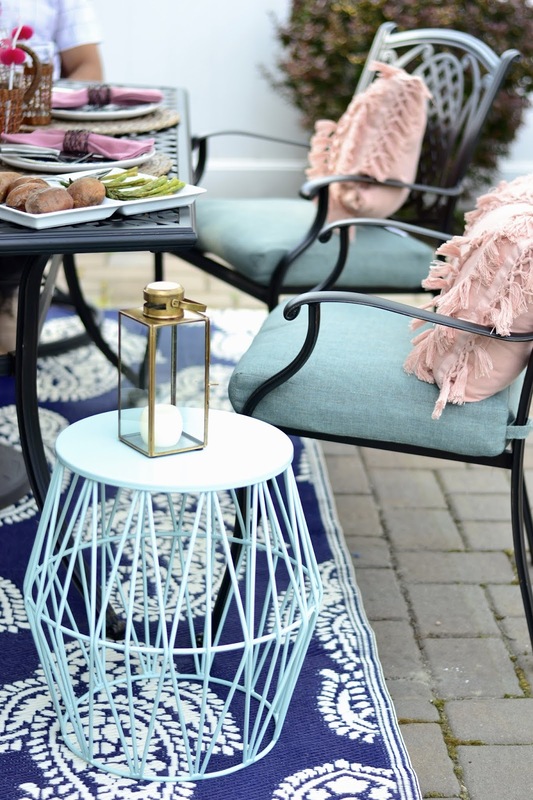 To add a cozy vibe to your patio go for the throw pillows. I found these super cute tassel pillows which I love! Pillows are probably the easiest way to change up any room, not only do they add comfort but they also can change the look of any room in an instant. World Market has such a big selection of nice throw pillows for every room in your home. Take a look at the ones I got here. 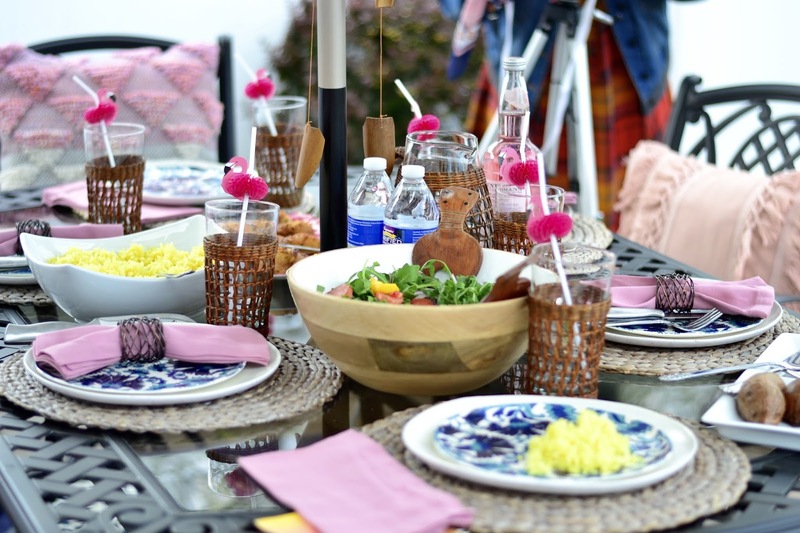 A cool way to add style to your outdoor dining space is to mix colors and prints. For this season I wanted to create a nice mix of different prints and textures that were easy to reuse throughout the year. I went with stripes for our umbrella, tassels on the pillows, wicker on the glassware, and even different metals for my side tables and stools. I love how everything came together seamlessly and how easy it was to find all the items I needed in one place. Let's face it, I am addicted to revamping rooms, therefore I won't spend big bucks on seasonal items in home decor. It's like shopping trends vs investment pieces in fashion. The great thing is that World Market has it all. 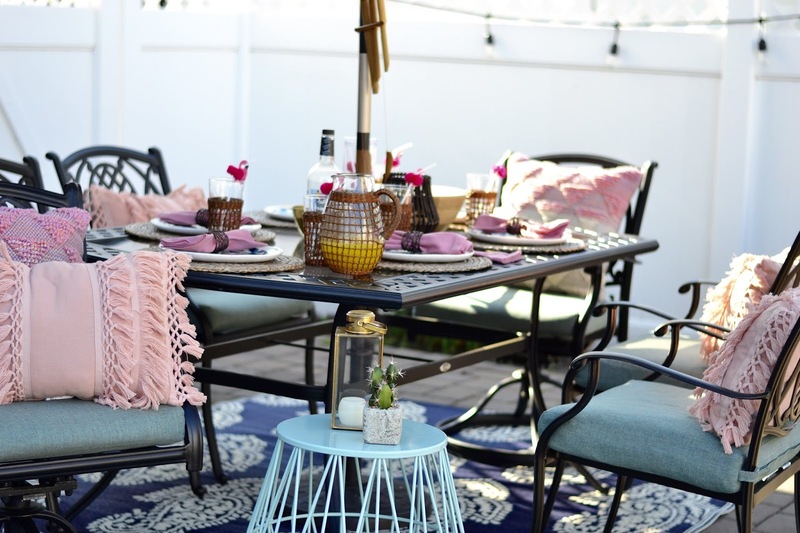 You can get your outdoor summer furniture (aka your investment pieces) as well as your outdoor decor (aka the trendy ones!) all in one place and what I love the most is that they are affordable and achievable at any budget. 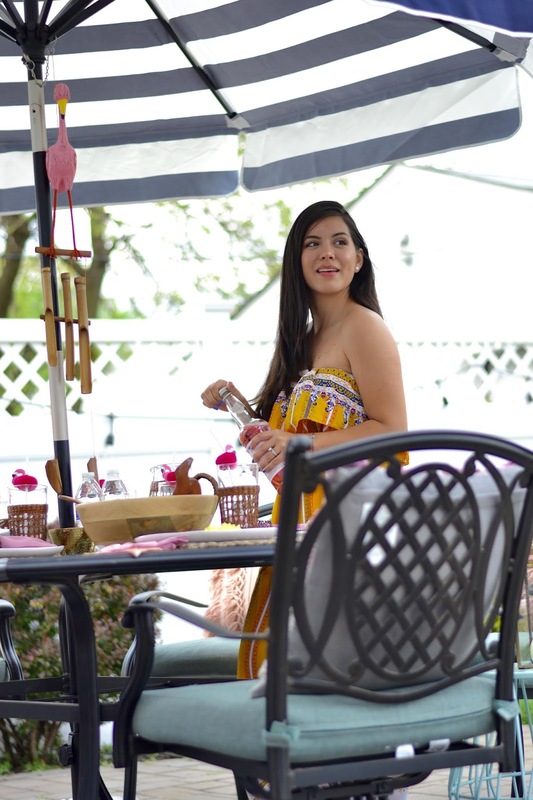 My tip is to look for the items that you can reuse in different settings for both indoors and out, think pillows, candles, side tables. I always have so much fun recreating new looks with pieces I already own. 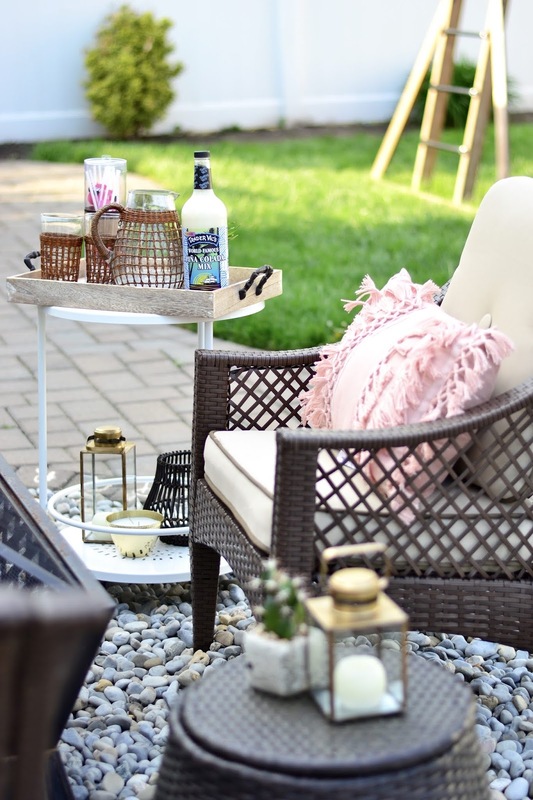 I've linked all the items below so you can head straight to World Market online and create your very own cozy outdoor space this summer. And don't forget to take advantage of the World Market Rewards, you get 15% your next purchase and $10 rewards for every $200 that you spend along with member coupons and savings. 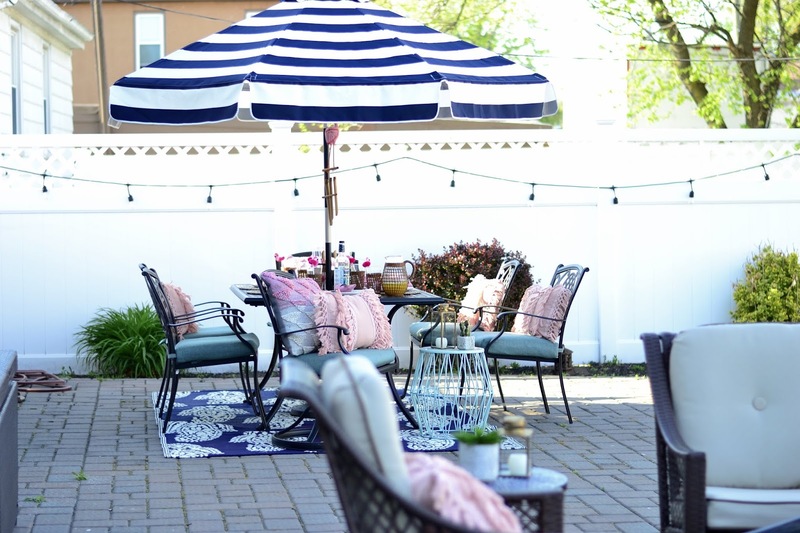 Hope you enjoyed this outdoor decor post as much as I enjoyed creating this space. I always love revealing little pieces of our home to you. 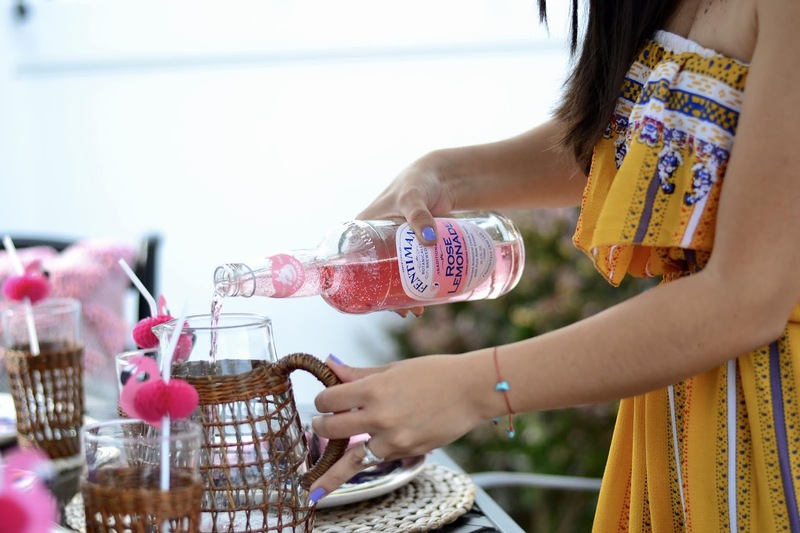 Here is a little video to share how we spend our evenings after a long day of work by unwinding with the kids and spending time in our little cozy tropical patio... Have a happy summer!